Will England manager Gareth Southgate regret not going all out to win the group? "England fully deserve to be favourites here but at 11/10 they look way too short to me. I’ll be cheering the Three Lions on like any other England fan but they have a poor record in knockout matches at the World Cup (won only two of their last eight) so they won’t be carrying any of my money at that price. In fact, I’ll be taking them on." Having lost 2-1 to Japan in their opening group game, when they'd played the vast majority of the match with ten men, Colombia bounced back well, winning both their next two ties without conceding to become the only team in the competition to progress having lost their opening fixture. With a fit and in-form James Rodriguez in the side, they were really impressive against Poland. James created the opening goal for Barcelona's Jerry Mina, just before half time, and he set up Juan Cuadrado for their third with a quite sublime pass that cut out three defenders. James went off injured after half an hour in the third and final group game against Senegal - another game which they had to win - when yet again Mina came up trumps with a bullet header in the 74th minute. Without James, they weren't anywhere near as imposing but Senegal had beaten Poland 2-1 and led twice against Japan so keeping another clean sheet was no mean feat. Any team that doesn't concede for 180 minutes at this level commands respect and the fact that Los Cafeteros have found the back of the net in each of their last eight World Cup Finals matches, is another big plus for the South Americans. With a very well-organised defence and a strike force that includes Juan Cuadrado, Juan Quintero and Radamel Falcao, even without the influential James pulling the strings, Colombia would be no pushovers but the very latest reports suggest he may well make the line-up. 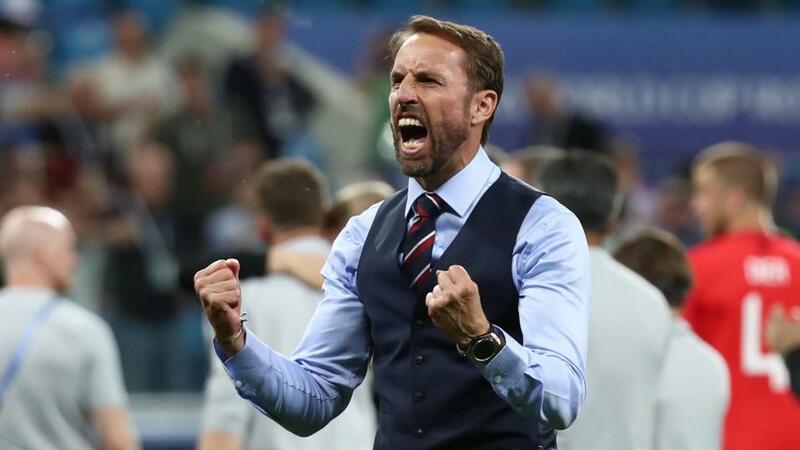 Will Southgate regret not going after Japan? Debates will roll and roll as to whether Gareth Southgate was right to make so many changes to the England line-up for their final group game but it's as broad as it's long. Having a rested team going into the knockout phase could be extremely beneficial and no matter what anyone's opinion is, the whole of England would have been cursing Southgate if key striker, Harry Kane, had played and picked up a knock in a group game that didn't need to be won. It's also debatable whether defeat against Belgium has delivered the better draw. Brazil may well have been lying in wait after a (presumed) win against Japan but there's no denying that Colombia will prove far sterner opposition that the Samurai Blue, and who's to say the Three Lions would have beaten the well-organised Japanese anyway? As impressive as they've been, England haven't beaten a side of any significance yet and nobody knows how good they are. I'm ignoring the Belgian encounter completely as it tells us nothing, but they were magnificent for the first half against Tunisia, playing with a tempo unequalled by any other team in the group phase, and they blew Panama away in the first half of their second group game. Performances understandably dropped off in the second halves of both ties, with heat an issue against the Tunisians and with the game sewn up against the Panamanians, so we probably haven't seen England at their best for 90 minutes. Something they'll have to be on Tuesday if they're to progress. England fully deserve to be favourites here but at 11/10 they look way too short to me. I'll be cheering the Three Lions on like any other England fan but they have a poor record in knockout matches at the World Cup (won only two of their last eight) so they won't be carrying any of my money at that price. In fact, I'll be taking them on. Odds in excess of 3/1 about Los Cafeteros to win in 90 minutes are tempting but at an industry-wide best of 23/10, the draw looks the best option in the win market. Since the 1996 World Cup, seven of England's 14 knockout matches have gone to extra-time and I'm happy to plump for the stalemate at that price. And I'm also backing Colombia to qualify at 6/4. These two teams are much closer than the market suggests. Given England's propensity to start games quickly and given Colombia have scored the majority of their goals in the second half, England - Draw at [20.0] and Draw - Colombia at [9.0] look worth chancing in that market. England are unbeaten against Colombia, having faced them five times previously (W3 D2). The draw is [3.3]. England beat Colombia in their only previous World Cup encounter thanks to goals from Darren Anderton and David Beckham (2-0), it was in the group stages of the 1998 tournament. Current England boss Gareth Southgate was an unused sub that night. England are [2.14] to win. Colombia have reached the knockout stages of the World Cup for the third time but it’s the first time they have accomplished it in consecutive tournaments (1990, 2014, 2018). The only previous occasion they’ve gone past the round of 16 was in 2014. Colombia are [2.66] to make the quarter-finals. Three of Colombia’s five goals at this year’s World Cup have come from set-pieces (two from corners, one from direct free-kick) whilst England scored more goals from dead ball situations than any other team in the group stages (6). Both teams to score is [2.3]. Colombia have scored in each of their last eight World Cup games, the longest current run of any team as of the end of the 2018 group stages. The last time Colombia failed to find the net in the tournament was in June 1998 against England (0-2). Over 2.5 goals is [2.72]. None of Colombia’s 21 games at the World Cup has ended goalless. In fact, only the USA (33) and Austria (29) have played more games in the competition without ever registering a 0-0. Over 3.5 goals is [5.5]. England have won only two of their last eight knockout games at the World Cup (v Denmark in 2002, v Ecuador in 2006). Colombia are [4.2] to win. Since (and including) the 1966 World Cup final, 50% of England’s knockout games at the tournament have gone to extra-time (7 out of 14). Three have been decided by a penalty shoot-out, all lost by England (Germany 1990, Argentina 1998, Portugal 2006). Colombia are [11.0] to win on penalties. Harry Kane has played 153 minutes at the World Cup but already only Gary Lineker (10) has scored more times for England in the tournament than the Tottenham striker (5). If Kane finds the net against Colombia, he’ll become the first player to score in six consecutive games for the Three Lions since Tommy Lawton back in 1939. Kane is [2.25] to score. Juan Quintero has been directly involved in three of Colombia’s five goals at this World Cup, scoring in the first game and delivering an assist in the second and third game. Quintero is [6.0] to score.